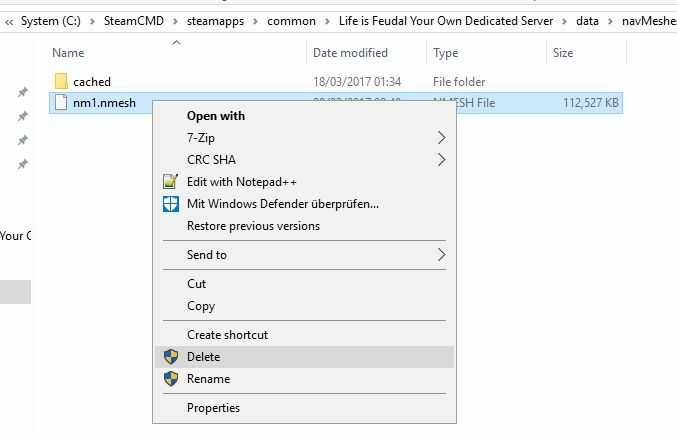 These manual steps are required to make the server launch and work as intended. They can be done only by the server admin with access to the server´s file- and directory structure and configuration files. Download the terrain files zip-archive and extract the contents to the LiF:YO server directory. Overwrite existing files. Notice: If you use FTP to transfer files to your server, make sure you use the BINARY transfer mode. Delete the nm1.nmesh file in the /data/navMeshes/ directory. 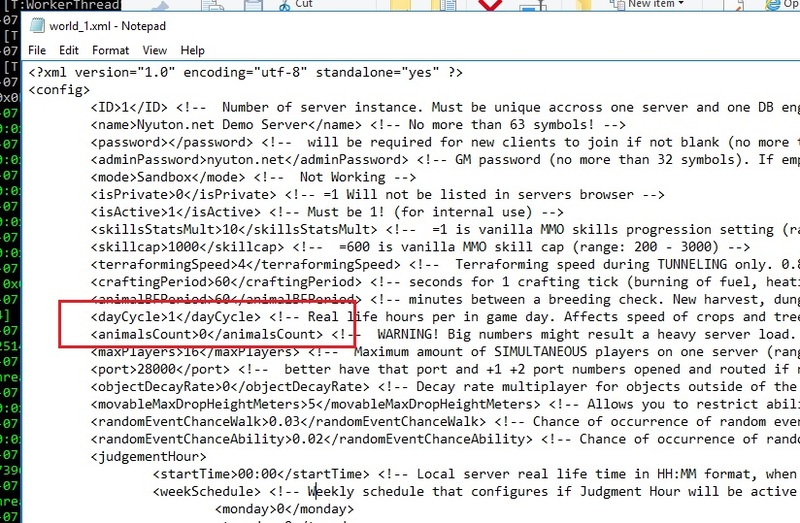 In your world configuration XML file, change animalsCount and dayCycle back to whatever you like. Once the server has started up, it's all done. Future server starts should be as fast as using the original map. For proper minimap display, check out the Minimap Updater Script in the Public Downloads section. If you experience any issues during setup, please check the Troubleshooting & FAQ page. Wenn mir jemand da weiterhelfen könnte, wäre das echt nett.